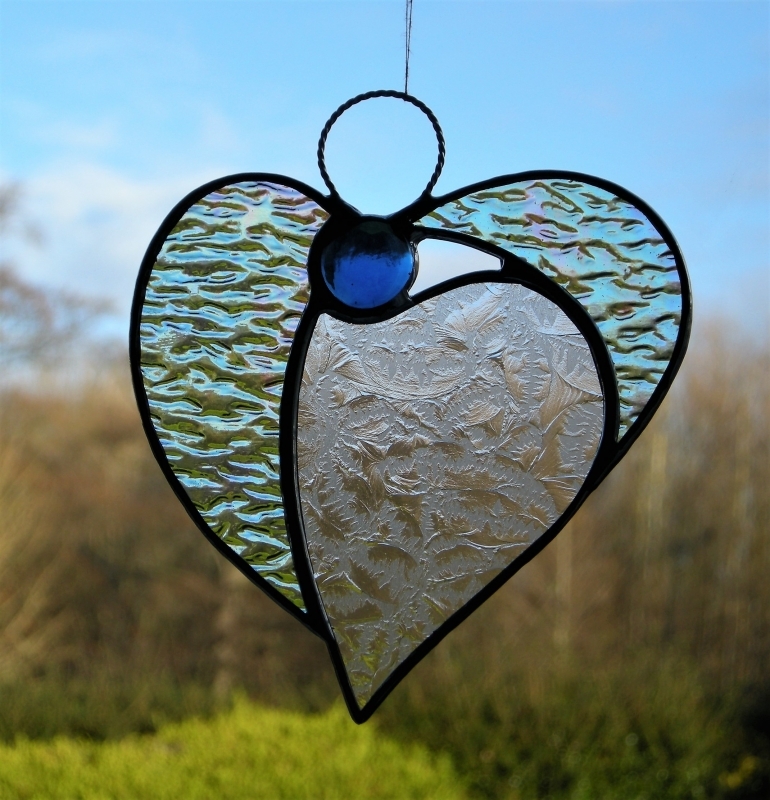 Beautiful stained glass abstract designed hanging ornament (Angel Heart) has been handcrafted and designed by myself using the traditional copper foiling method (no stick on lead or glass film). 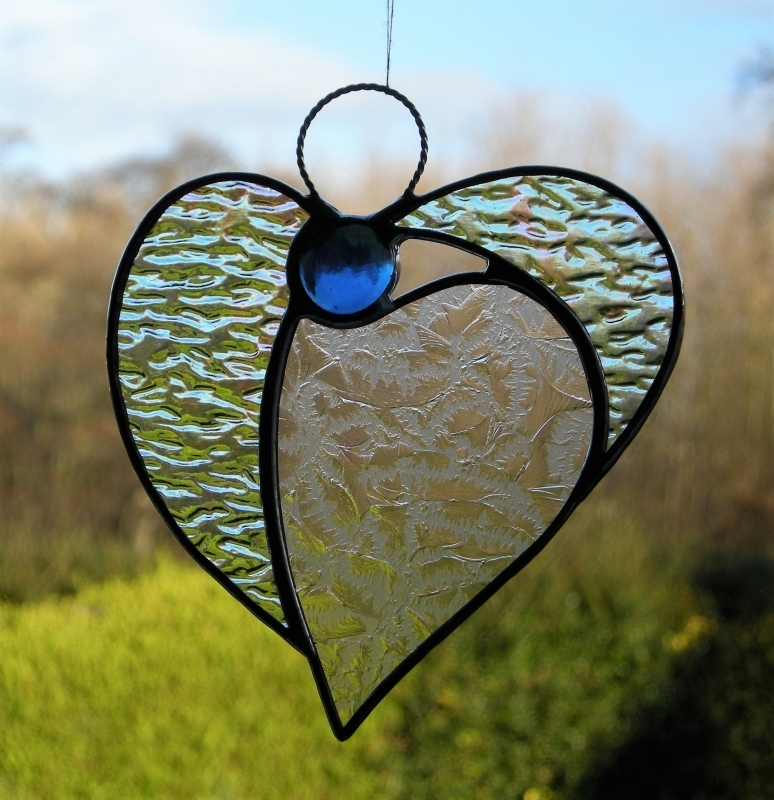 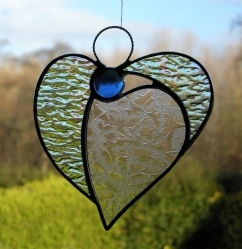 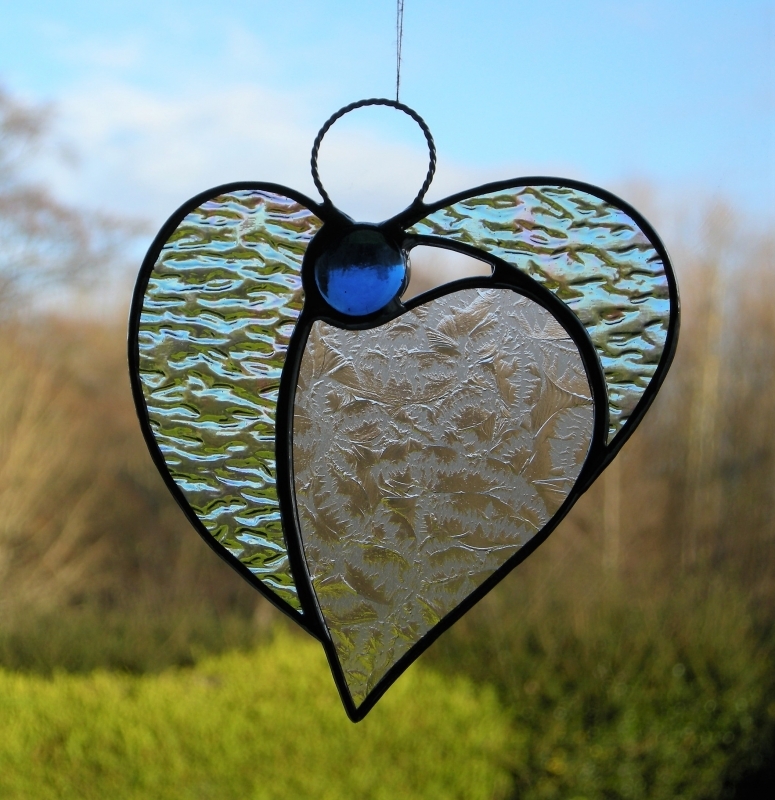 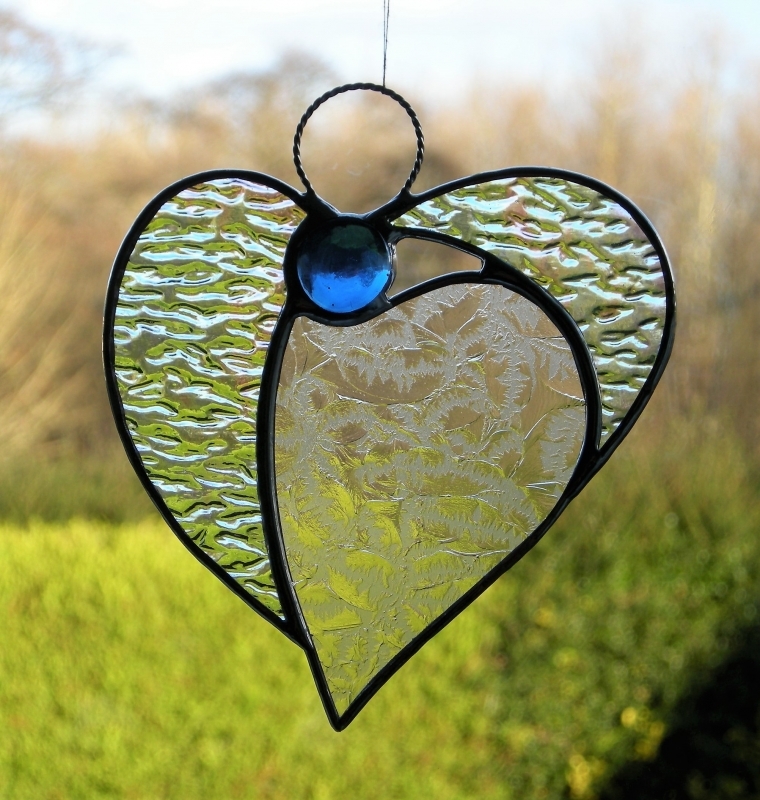 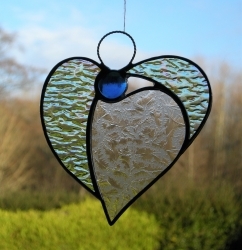 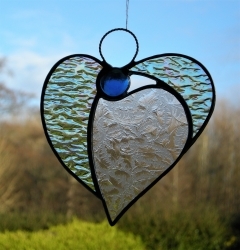 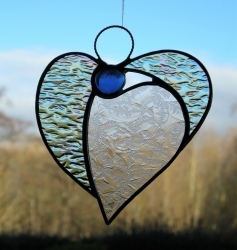 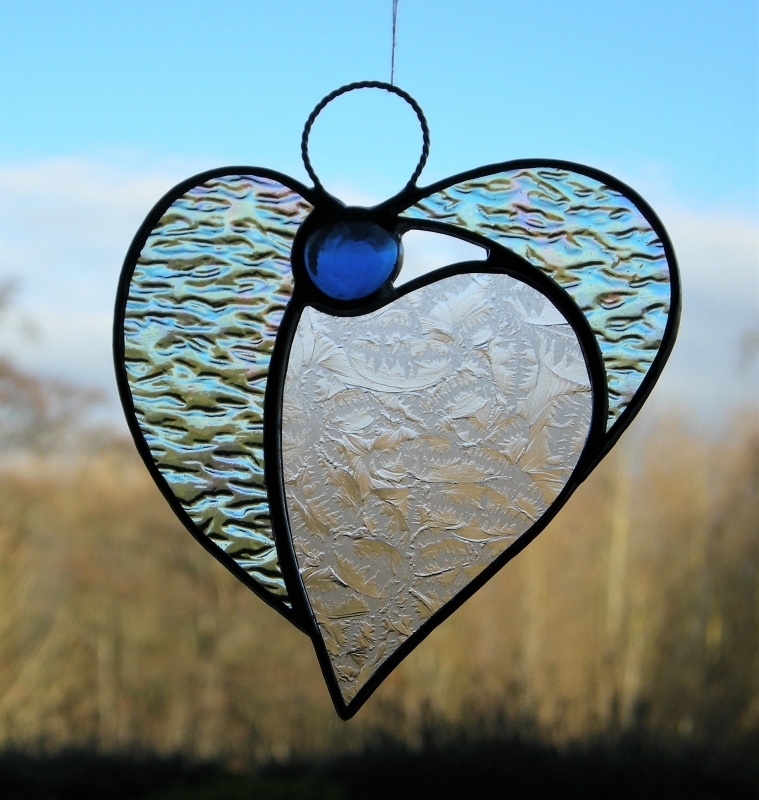 The design is effective with the glass colours (textured clear glass heart with a different textured glass wings) and textures of the glass used. 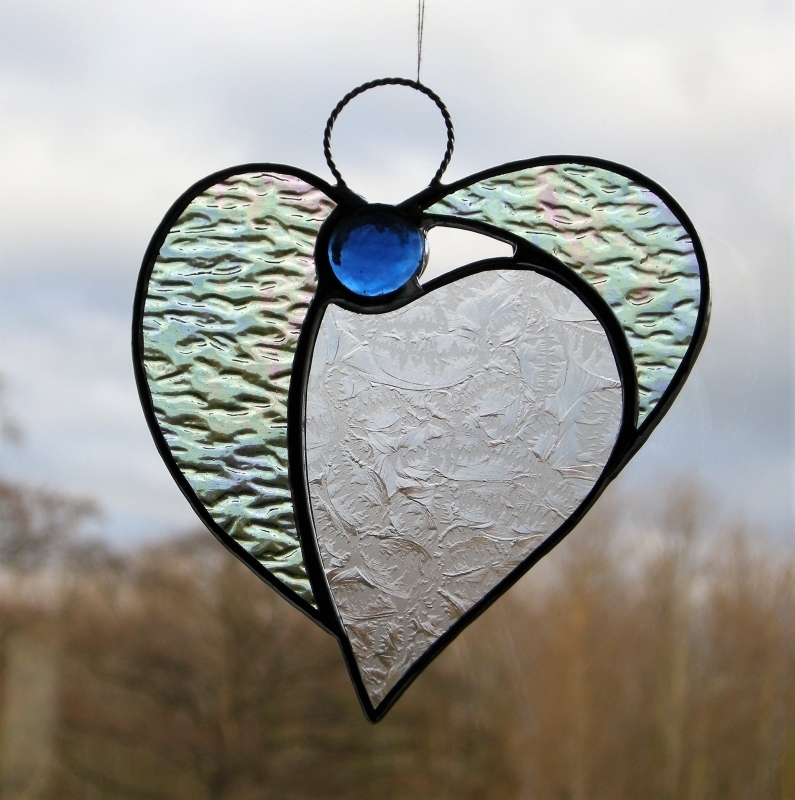 A glass glob (blue) forms the head of the Angel Heart.